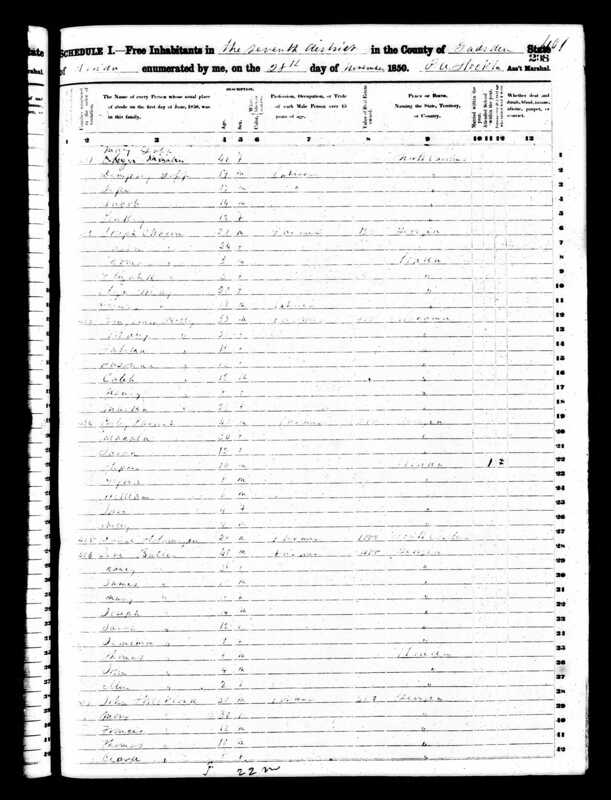 Sarah E. Parish was born on July 1, 1838 somewhere in Georgia and died on December 29, 1916 in Liberty Co. FL, Florida. She lived to be 78 years old. In 1851 she married Theophilus Floyd (3/6/ 1826 -9/6/1878). After the death of her parents, she and her husband to care of her younger siblings, William, Jane, Wiley and Mary. page 21, line 3 - Wylie Parish - two males under 5, one male 20 -30,one female 5-10, & one female 20-30.one Person Employed in Agriculture, one person employed in manufacture and trade, two persons over 20 who cannot read and write. Additional information about Gadsden County, FL around 1840: Click here to see a map from this timeperiod. 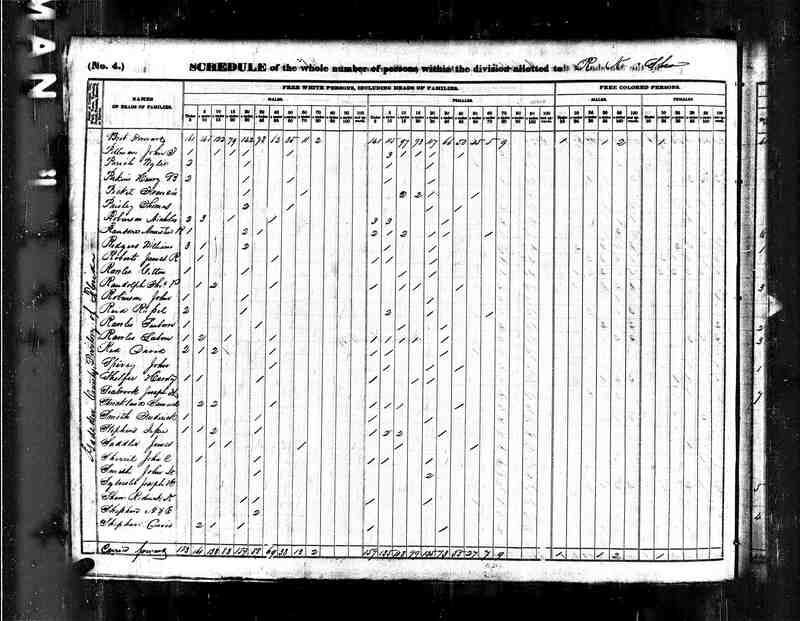 Listed as family #454 (below Benjamin Holly's family) : Wiley Parrish (age 40, farmer), Mahala (age 30), Sarah (age 12, female), Stephen (age 10, male), Alfred (age 8, male), William (age 6 ?, male), Jane (4, female), Wiley (2, male). Wiley Sr., Mahala and Sarah were born in GA and the rest of the children were born in FL. Stephen indicates that he is attending school. Wiley Sr. lists the value of his home to be $200. 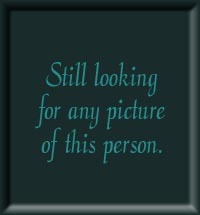 #33 -Theoplus Floyd	(age 33)GA, Sarah Floyd	(24)GA, William (16)GA, Jane (14)GA, Wiley	(9)FL, Mary (8)FL, Caroline Floyd	(4)FL. Theoplus is a farmer. Additional information about Liberty County, FL around 1860: Liberty County was formed 1855 from Jefferson County. #181 -Ruben Strickland	(age 33), Jane M. Strickland	(33), Sarah J. Strickland	(8), Henry M. Strickland	(7), Anna N. Strickland	(5), Ruben O. Strickland	(2), William T. Strickland	(1), and sister-n-law -Sarah E. Floyd	(48). All were born in FL, except Jane and Sarah E. in GA. Sarah is a Widower.Ruben is a farmer. Additional information about Liberty County, FL around 1880: Click here to see a map from this timeperiod. #433-Reuben A. Strickland	(age 56), Martha J. Strickland	(55), William T. Strickland	(21), Hu Strickland	(18), Nevada E. Strickland	(14) and sister-n-law - Sarah E. Floyd	(66). All were born in FL, except Jane and Sarah E. in GA. Sarah is a Widower.Ruben is a farmer. 4 1842 Congress passes the Armed Occupation Act of 1842. It entitles persons willing and able to bear arms against the Indians and establish themselves in villages along the borders of Indian territory ownership of their land after 5 years. 7 1845 Florida becomes the 27th state to join the United States. William Moseley becomes the first governor and David Yulee the first senator. 12 1850 Florida's total population has grown to 87,445. This includes about 39,000 slaves and 1,000 free blacks. Indians were not counted. 17 1855 Third Seminole Indian War begins and war breaks out with most of the battles occurring in Central Florida. It ends three years later when Chief Billy Bowlegs and his band are forced to move from Florida. 23 1861 No Floridian's voted for Lincoln during the 1860 election. On Jan. 10, 1861, Florida seceded from the U.S. and joined the Confederate States of America a few weeks later. 27 1865 May 10th -- Union troops occupy Tallahassee. While Tallahassee was the only Confederate state capital east of the Mississippi River that had not been captured, Union troops occupy the capitol following the surrender of the major Confederate armies in the east. 27 1865 Battle at Natural Bridge (Wakulla County) is a Confederate victory. 32 1870 During the 1870s, the remaining Seminole Indians begin establishing trading posts and other economy with local settlers. 44 1882 The Florida Central and Western Railroad Company was created. It combines the Florida Central, Jacksonville, Pensacola, and Mobile railroads. 45 1883 Three railroad companies are merged to form the Florida Transit and Penisular Railroad Company. Thee are: Florida Transit Railroad Co., Peninsular Railroad Co, and the Tropical Florida Railroad Co.
46 1884 Most railroads in Florida are passed into the hands of a single company owned and operated by a single management, under the name of The Florida Railway and Navigation Company. It has more that 500 miles of main track in operation and about 300 miles of track under construction. The longest route was the "Western Division" which ran from Tallahassee to Jacksonville - 209 miles. 68 1906 An attempt to drain the Everglades and convert it to farmland begins. 12 1850 Gordon and Clinch Counties are formed. 13 1851 Clay, Howell, Polk, Spalding, and Whitfield Counties are formed. 14 1852 Taylor County formed. 15 1853 Catoosa, Pickens, Hart, Dougherty, Webster, Flton, and Worth Counties aare creaated. 16 1854 Fannin, Coffee, Chattahooche, Charlton, and Calhoun Counties formed. 18 1856 Haralson, Terrell, Berrien, Colquit, Miller, and Towns Counties formed. 19 1857 Dawson, Milton, Pierce, Glascock, Mitchell, Schley, White, and Wilcox Counties formed. 20 1858 Clayton, Quitman, Banks, Brooks, Johnson, and Echols Counties formed. 32 1870 Douglas, McDuffie, Rockdale, and Dodge Counties formed. 37 1875 Oconee County formed. 67 1905 Crisp, Grady, Jenkins, Tift, Davis, Stephens, Toombs, Turner, and Ben Hill Counties formed. 74 1912 Forsyth, Bleckley, and Wheeler Counties formed. 76 1914 Barrow, Candler, Bacon, and Evans Counties are formed. 1 1839 Goodyear invents vulcanized rubber, opening the door for tires and other rubber products. 15 1853 The process of creating steel is invented by Besermer in Britain and Kelly in the U.S.
21 1859 Charles Darwin publishes "Origin of Species" and begins the evolution theory. 27 1865 Mendel publishes his papers on genetics and introduces the concept to the public. 39 1877 Edison invents the phonograph permitting music and voices to be recorded and replayed. 41 1879 Edison invents the electric light bulb. 57 1895 Wireless telegraph and the "antenna" are invented but it covers a very short distance. 62 1900 The cause of yellow fever is discovered. It is proven that the fever is spread by mosquitoes. This rallies an effort to provide better mosquito control. 62 1900 Freud publishes his book "The Interpretation of Dreams"
63 1901 First transatlantic wireless telegraph is sent. 64 1902 The first Tyrannosaurus Rex fossil is discovered. 74 1912 The unsinkable Titanic sinks on its first trip to New York drowning 1,513 people. 23 1861 NEWS HEADLINES: American Civil war begins at Ft. Sumter, located in Charleston Harbor, VA.
24 1862 NEWS HEADLINES: May 20, 1862 the US government passes the Homestead Act to provide cheap land for settlement of lower Southeast and West. 44 1882 NEWS HEADLINES: Edison creates the first large power station in New York City, making it the first place in America to have electricity. 47 1885 NEWS HEADLINES: Eastman invents the box camera. For the first time photography becomes affordable for the average citizen. 74 1912 White residents of Forsyth County, GA, drive the black population out. 4 1842 Second Seminole Indian War ends and thousands of Seminole Indians are forced to move west of the Mississippi. 17 1855 Third Seminole Indian War begins. It ends three years later when Chief Billy Bowlegs and his band are forced to move from Florida. 22 1860 Presidential election puts Abraham Lincoln in office. The campaign has heated the issues regarding slavery in the south. 24 1862 May 20, 1862 the US government passes the Homestead Act to provide cheap land for settlement of lower Southeast and West. 25 1863 Abraham Lincoln issues the "Emancipation Proclamation" freeing slaves. 27 1865 American Civil war ends with General Lee's surrender at Appomattox, VA. Reconstruction begins in the "old South"
30 1868 An eight-hour work day is established for federal employees. 37 1875 Tennessee enacts Jim Crow law. 72 1910 Boy Scout and Girl Scout Organizations are introduced in America and the concept of a "week end" meaning time off from regular work begins to take root. The British Empire covers 1/5th of the world land area. 76 1914 World War I - Following the crisis touched off by the assassination of Archduke Ferdinand of Austria in Sarajevo, Germany declared war on Russia and additional countries joined the war within several days.